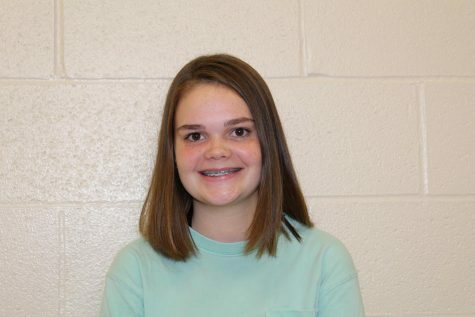 As a Carterville High School freshman, Macey Keim likes dogs, applesauce, and naps. She also enjoys re-watching Friends and The Fosters. She never ties her own shoes and always has on bracelets. Due to her shyness, it may seem like she doesn't like you, but if you get to know her she will constantly be smiling and talking.